Thinking about a new roof installation or upgrading your house siding? These offers are for you! How often do you think about your gutters? More often than not, you probably pay attention to them only when they are overflowing with debris and need to be cleaned out. Mark your calendar to see RJK Construction at the Cleveland Home + Remodeling Expo on March 24-26, 2017, at the Huntington Convention Center of Cleveland downtown. 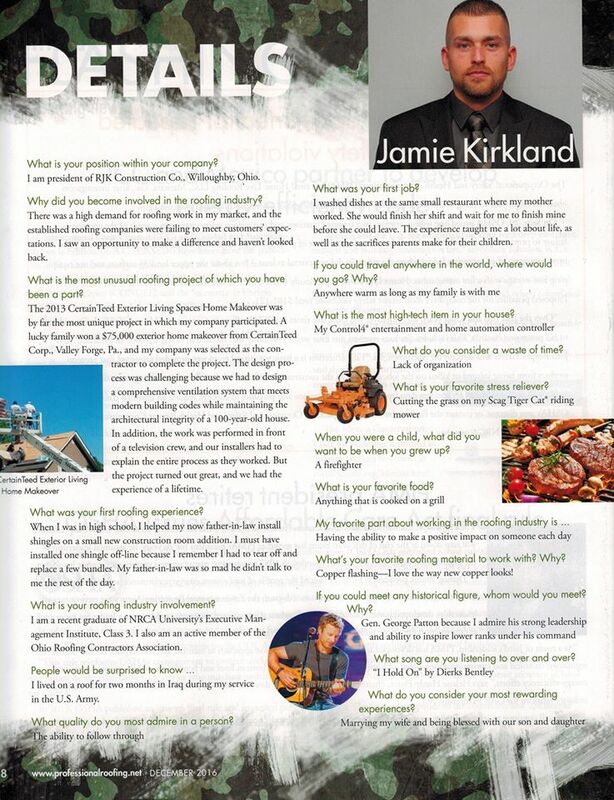 Our president, Jamie Kirkland, was featured in the December edition of Professional Roofing Magazine in the Details section.